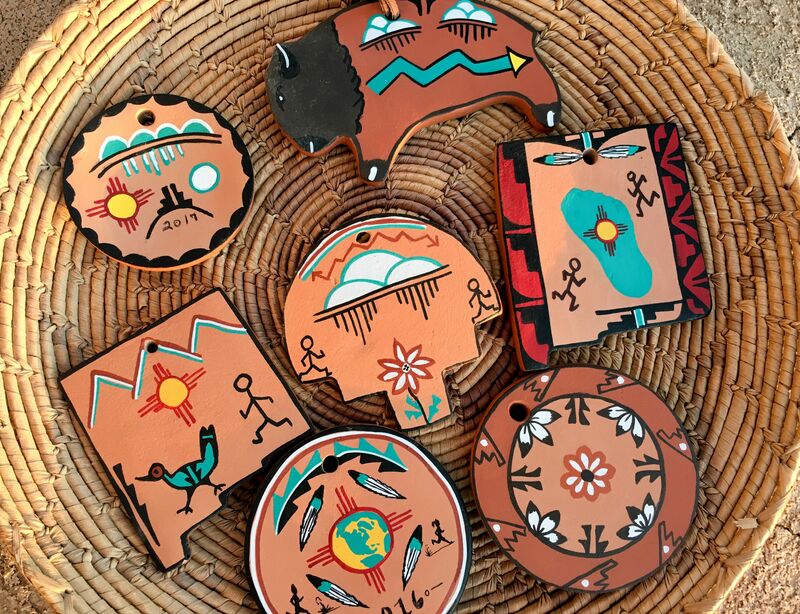 From Pueblo Indian trails to El Camino Real to the Santa Fe Trail, Santa Fe has been a sought after desitination for centuries. 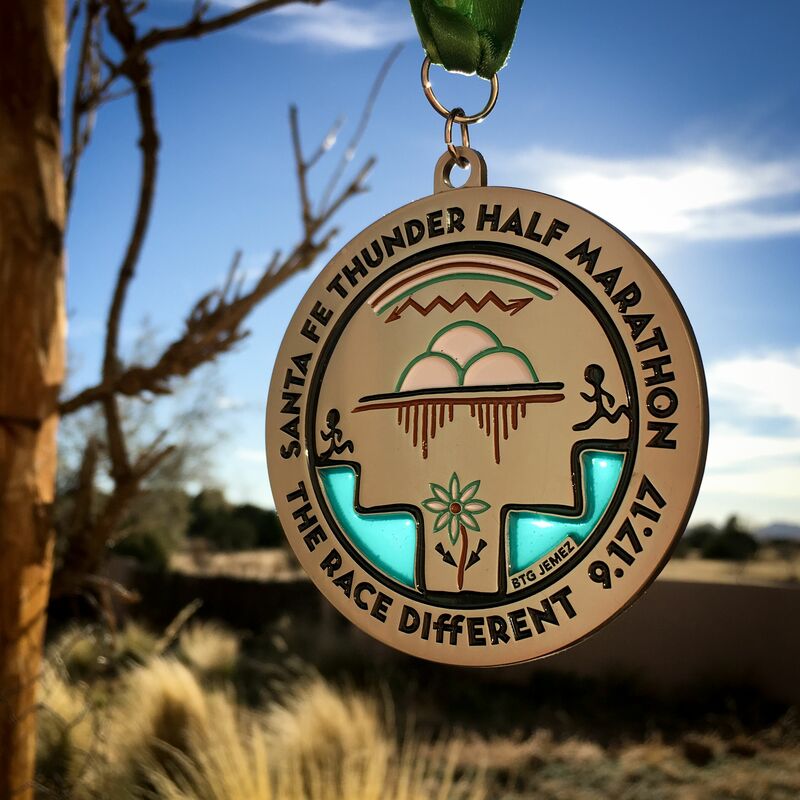 The 9th annual Santa Fe Thunder Half Marathon gives you the opportunity to leave your own footprints and enjoy a unique athletic and cultural experience. 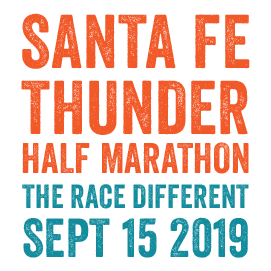 Santa Fe Thunder is the Race Different! 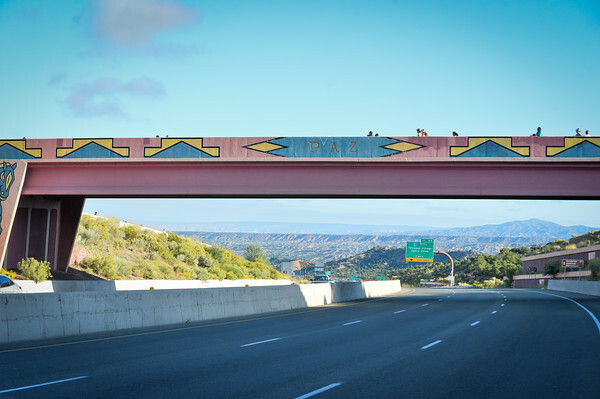 Starting in the heart of Santa Fe at historic Fort Marcy, the point-to-point course follows the Old Taos Highway, finishing at the magnificent Buffalo Thunder Resort & Casino in the Pueblo of Pojoaque. 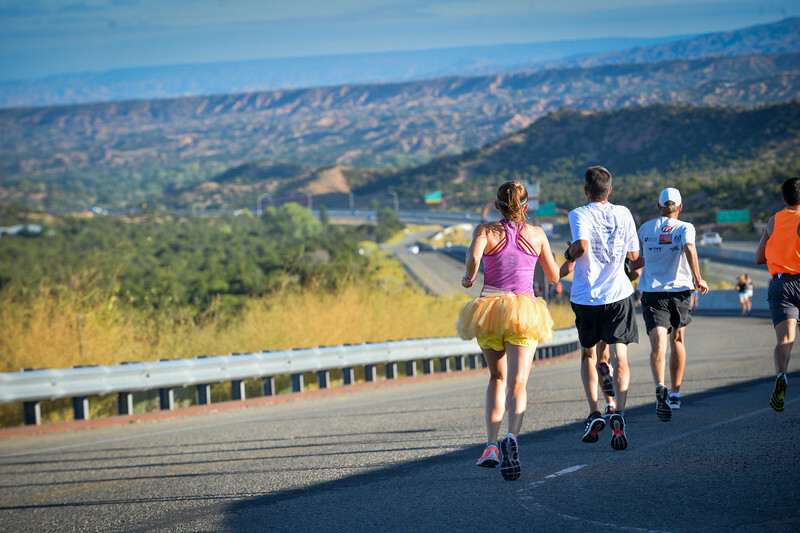 The 1,000 foot net downhill USATF-certified course (including 300 feet of uphill the first 2 miles) features spectacular views of the Sangra de Cristo and Jemez mountains whil dropping into the colorful Rio Grande Valley. 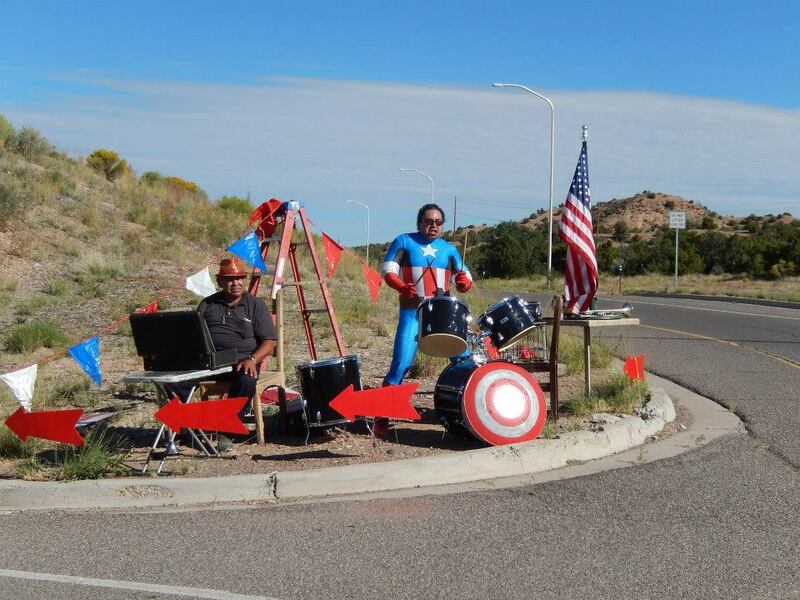 Inspired by Afican drummers at the start and live music along the course, runners pass by the world-famous Santa Fe Opera, the Tesuque Village Market, Camel Rock and the Tesuque Pueblo on the way to Pojoaque along a route that our ancestors have run and walked for centuries. 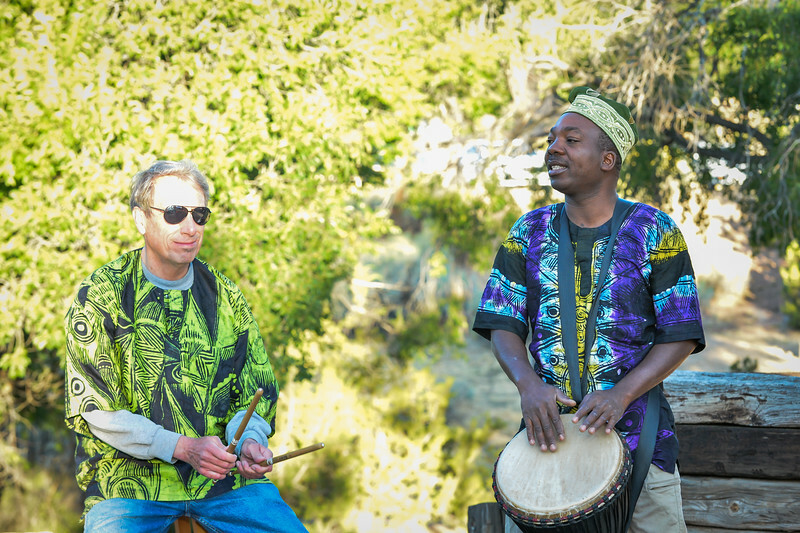 We have created a truly international event featuring people, music, art and culture from places where running remains a vital part of the culture. 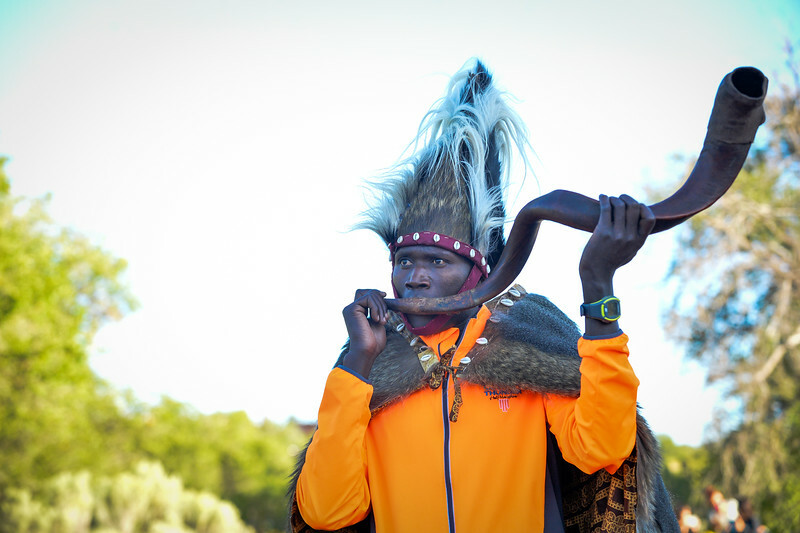 Each year, Global Running Culture honors an individual who has dedicated their lives to fulfilling a passion. 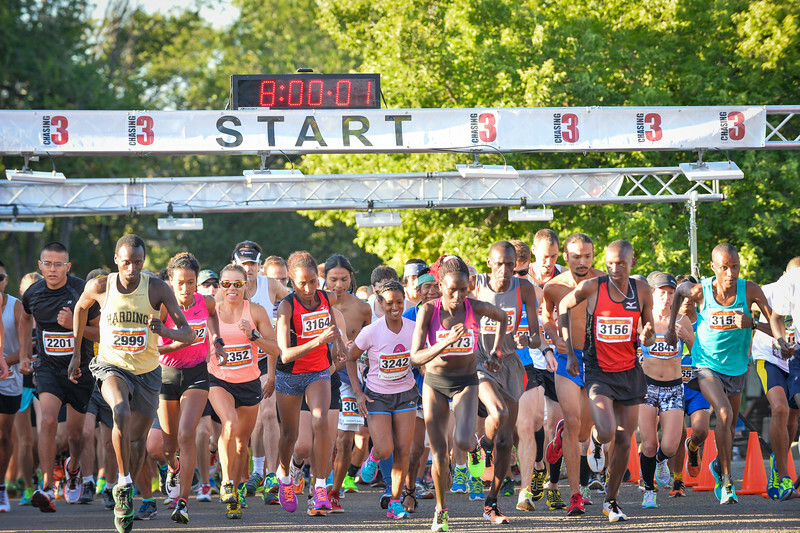 Past years' honorees have included Dr. Joe Vigil, Adams St. and Olympic Coach, Billy Mills, Olympic 10,000M Gold Medalist, the Ultimate Warrior, WWE Hall of Fame wrestler, Steve "King of the Mountain" Gachupin, 6 time Pike's Peak Marathon Champion, Caroline Rotich, Santa Fe resident and 2015 Boston Marathon Champion and Peter Koech, former World Record holder and Olympic Silver medalist in the steeplechase and 1998 Olympic 1,500M Gold Medalist Peter Koech. Your participation enables 100% volunteer non-profit Global Running Culture to carry out its mission of bettering the lives of youth through the powers of sport and education in three communities where running is a vital part of the culture: northern New Mexico and Arizona, the village of Matungen, Kenya and Copper Canyon Mexico.The Kipkalwa School Project is bringing opprtunity to a generation of village children. 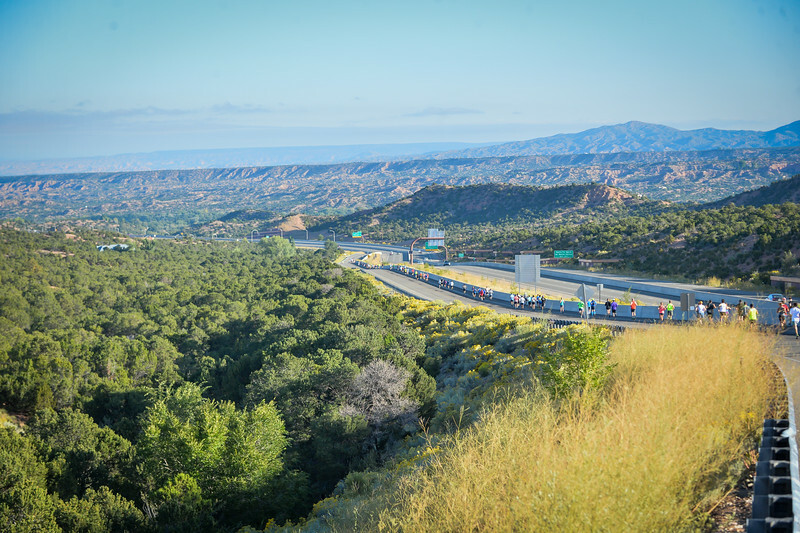 Detailed race weekend information will be emailed to all entrants about 2 weeks before race day and will be posted on www.santafethunder.com. All entrants are asked to park at Buffalo Thunder. Buses will take half marathoners to the start at Fort Marcy and sweats bags will be transported so they are waiting at the finish line. Please note - all events will start at 7:30 AM.